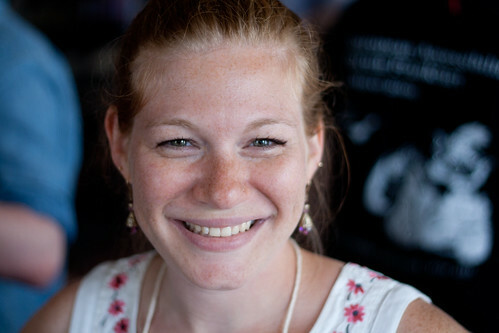 Erin Malone is a Principal at Tangible ux, a user experience consulting firm. Previously she led Yahoo!’s Platform User Experience Design team and helped build the Yahoo! Design Pattern Library. She is also the co-author of the recently released Designing Social Interfaces. Follow her on Twitter @emalone. How long have you known of your heroes and have you ever met? I have known my mom my whole life, but didn’t really consider her my hero until I was out in the working world. I discovered Georgia O’Keeffe in college when I was studying design and taking art history classes. How have your heroes had such a profound impact on your life? My mom is of the era when women were supposed to go to college to get married. She did that, but she also defied the stereotypes and majored in math. A major not known for many women in the program. I think that had she been in school in the recent past, she would have been a software engineer. Additionally, she was active in the theater in college, which is where she met my father. My mom showed me that women can have their own life, their own career, that girls could do whatever they set their mind to regardless of what was “supposed” to be. I grew up involved in the theater but stopped in high school. The camaraderie and team effort of the work (work my parents still do) is partly why I love working in web / product / application design so much – it is so much like theatre in that sense. It takes a group to succeed or fail. Georgia O’Keeffe epitomized the life of an independent woman. She was married but very much her own person. She was not Alfred Steigletz’s Mrs., she was Georgia O’Keeffe, painter, who happens to be married to Alfred. I admire both these women in different ways – for their guts, for their determination to stay true to their passion regardless of the circumstances which has been a guiding force in how I live my life. How do you gain knowledge and inspiration from your heroes? I get advice from my mom – mostly financial – as well as support for the decisions I make about my career. The inspiration I get from knowing about Ms. O’Keeffe’s life is that no matter your age, it’s important to be true to your life, your art, your heart. This was central to her work and her passion for living throughout her whole life. What is one piece of wisdom your heroes have been quoted as saying that has stuck with you the most? “To create one’s world in any of the arts takes courage,” and, “You get whatever accomplishment you are willing to declare,” are two things that O’Keeffe said that resonate about taking charge of your own destiny, your own decisions, your own successes. Thank you Erin for sharing your heroes with us!